Cutgate OL12 Steam & Dry Rug & Carpet Cleaning Company | Quality Property Care Ltd. Using a professional rug and carpet cleaning company, and using its services frequently is a very good strategy, especially if you or someone in your family suffers from dust or pollen allergies or has respiratory problems. 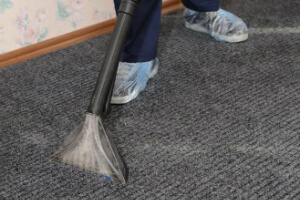 The quantities of dirt, dust, dust mites and germs in our carpets and rugs are actually quite surprising, so don’t wait to hire Quality Property Care Ltd., which delivers a high quality carpet and rug cleaning service in Cutgate OL12 and the area. The rug and carpet cleaning company can also provide: curtain cleaning, drapery cleaning, blinds cleaning, as well as bed bug mattress treatment and mattress cleaning , which will help remove the dust mites, allergens and kill off all bacteria. The firm offers residential and commercial carpet and rug cleaning at a competitive price. To get a totally free price offer in less than 2 hours, just get in touch with the expert customer care service or use the on-line form. This method is appropriate for natural and some synthetic elements and can remove greasy and oily stains from short and long fibers without leaving a trace. 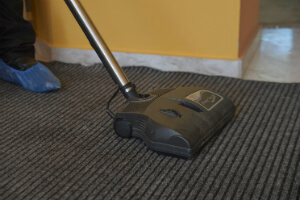 To effectively clean an affected and stained place of your carpet or rug, we hoover the area to eliminate any debris. This agitates the stain and allows us to more quickly extract the filth later on. Solids are removed and the spot is pre-treated with a special detergent which matches the chemical construction. It will help the hot water extraction method dissolve the stain and leave no footprint. If the carpet allows it the stain is blotted so it better accepts the cleaning agent. Once done the cleaners employ a special hot water extractor which blasts the spot with hot water while simultaneously drawing all of the filth and 95% of the moisture out. The heat and the pressure of the process, combined with the pre-treatment remove 99% of the stains with full stain removal if it’s quite new. Old and set stains are almost impossible to be fully removed, so acting quickly when the stain occurs is very important to its proper removal. There is some leftover moisture from the process, which will disappear safely within 3-4 hours, even less if you book our air movers. For more delicate materials like cotton and silk we use a more gentle approach which does not rely on heat or moisture to remove a stain. Natural materials hardly ever react well to both heat and moisture so we are using a special dry compound which comes in a granulated form. The same process of stain and rug or carpet prepping does apply as was explained in the hot water extraction method, allowing us to much better remove the blemish. This time we pre-treat the spot with a special detergent, specially chosen for the type of fiber we are cleaning. It’s applied and let to set into the stain. Once that is done we apply the granulated detergent and spread it with a fine brush. This imbeds it into the fibers of the material forcing it into the stain. The dry compound is also let to set for 10 mins after which we get it using a high powered vacuum machine, extracting 100% of the filth and detergent and filth. There is no trace left, leaving both your natural rugs and carpets fully spotless and cleaned. Steam carpet cleaning: hot water extraction method with deep action. The procedure is perfect for synthetic and old carpets. Dry carpet cleaning is a dry foam carpet cleaning procedure that uses no liquids and prevents delicate rugs from tearing and wasting. We’ve made an effort to be capable to correctly clean a huge range of carpet and rug kinds in order to cope with the cleaning demands of all potential customers. Not only that but we’ve also been capable to widen our catalog of stain expertise allowing us to further guarantee your full fulfillment. In terms of fiber kinds for carpets we can clean synthetic, natural and organic fibers like linen, cotton, wool,, silk, viscose, suede, acrylic, flush, chenille and quite more. To reserve our professional cleaning service call 020 3746 4287. Our dedicated team of customer care agents is available, helping you with the booking or answering any questions you may have. We are available during weekends and bank holidays totally free of additional cost, with flexible booking and same day availability. Be sure to follow our website and check back regularly as we often have deals and offers which can save you up to 35% on your next deal. Don’t miss an opportunity to receive the best carpet & rug cleaning in Cutgate OL12 at the best prices in the Greater London area.